With any number of uncertainties there can be very few other businesses like airlines which present a constant indeterminate challenge. It only seems a twinkle ago since massive controversy hit the media over the sale of the valuable Heathrow slots by the now defunct BWIA for what many felt was an under-valued GB Pounds 5 million to British Airways in 2006. In 2011 the current Trinidad and Tobago Prime Minister, Kamela Persad-Bissessar commissioned a forensic management audit which concluded that a fair market value for the slots then ranged from GB Pounds 23 million to GB Pounds 44 million in a report dated 8th May 2012. Then with a blaze of glory in 2012 it was announced the replacement Caribbean Airlines was going to return to London, but this time flying into Gatwick. Last week according to AirwaysNews.com, Caribbean Airlines (CA) will return its Boeing 767 fleet to lessor ILFC (International Lease Finance Corporation) during the first quarter of 2016, axing the Gatwick route and these aircraft will join the Air Canada Rouge fleet soon after. This year, the airline has already returned two Boeing 737-800 aircraft with two more that are set to go soon. This will reduce the fleet to twelve B737s while retaining all five ATR 72 equipment. Since the re-birth of the carrier, it has been difficult to follow what if any substantial part they play in supplying airlift to Barbados, specifically for inbound tourism and I probably am not alone into thinking ‘we’ as a destination do not have the best of working relationships with them. We’ve seen it bad before, but never this bad. We’ve had shootings before, but never so many and never have we seen so many young people so casually willing to murder others. Or try to. Folks shooting each other in the legs like that makes it okay. Guess these little wild animals never heard of the femoral artery – one little poke an a person bleeds out in two minutes if nothing is done. And considering how long it takes to get an ambulance to respond anywhere on this rock, my advice is to do everything you can to get the shooting victim to the Queen Elizabeth right away. Way things are going, before they are taught to read the children should be taught to duck and cover, and after the shooting ends to apply pressure to the wound. Way things are going, learning how to apply a tourniquet early on is far more valuable than the three Rs… reading, ‘riting and ‘rithmatic. What the hell is happening ’bout hey? ENOUGH. Let me start again. TOO MUCH! The gun situation or more precisely the shooting situation is horrendous. When submachine guns turn up in Nelson Street, it gives deeper meaning to the term gung ho. What is the seeming fascination with guns? A feeling of power? Needed for protection? Status symbol? Bloodlust? Imagine all of these in a single person. Whatever the reasons, recent history has brought even the loudest advocates of privacy, and individual rights to the point of volunteering to surrender some rights and be willing to submit to random stop and search in order to tackle the gun problem. Quite frankly, I don’t care whether gun amnesty only nets a small fraction of illegal weapons. Try it. If increased police patrols only detect a small amount of crime, do them. If police are short of vans, have more foot, bike and segway patrols. Any and all of this would do more than having a station full of desk jockeys telling callers “We have no vehicle” or “The car has gone to a more serious matter” or “There are several reports ahead of yours” when the gunman who just broke into your home can still be seen halfway down your lane. The criminals are bolder and more aggressive. They are also often more stupid. For a start, in believing that they are going to get away with their crimes. So we, the citizenry, have to be smarter – in the way we prevent, detect, report, prosecute and punish crime. Our response has to be that we will not let up. What are we going to do? Recently when having discussions with my fellow Bajans, it has become clear that a few points need to be made. 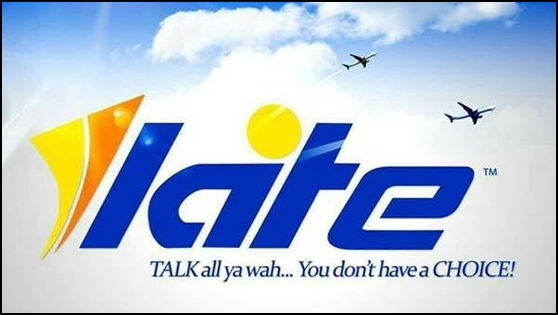 First, LIAT has ALWAYS been based (Head Office) in Antigua, has NEVER been based (Head Office) in Barbados – no matter what the politicians may tell you. There has been a PILOT BASE in Barbados for decades – a pilot and flight attendant domicile, if you will – but not the registered “home”. Never has been. Never. Second, airplanes are not tied to concrete foundations by rebar or galvanised water pipes. They are scheduled and flown wherever they are needed, and if you will insist on moving LIAT lock, stock and barrel to Barbados then you also need to clearly understand that you – yes, you, the taxpayer, you personally – will pay Froon, Fumble, Dumble, whatever we may call him now, several HUNDRED MILLION dollars more for the necessary new offices, hangars, facilities, etc., AND lose access to US Territories – Barbados is Category Two, and LIAT (Barbados) Limited will approach the US government as an African-class airline with ZERO safety rating. You will also not get that many high-paying jobs – all of those are technical, licensed, experienced professionals and permanent employees such as pilots, engineers and mechanics who will just be relocated from Antigua to Barbados – all at YOUR expense. I suggest you start putting the brain in gear before you mash the pedal and burn more than rubber. “In the short and medium run, tourism is really the only engine for our continued prosperity and economic growth. So, we welcome the Sandals development, however, I must say that having come down here this morning, I am a bit taken aback and shocked. The name Wang Jianlin may not resonate with you, but according to the South China Morning Post he is the richest man in China and recently announced plans to build the world’s biggest tourism enterprise which will overtake the current giant, Disney. The chairman of the Wanda Group stated that his holding company will achieve an annual revenue of 100 billion Yuan (one Yuan currently equals .16 US Cents), attain annual net profits of US$10 billion and handle 200 million visitors by as early as 2020. At this stage he has not ruled out entry into the aviation segment after China lifted a five year restrictions on applications for new airlines in 2013 ‘spawning a wave of privately owned start-up carriers’. To even try and understand the exponential growth, Wanda’s in house travel agency revenue is expected to reach 10 billion Yuan this year, 20 billion by 2017 and 40 billion by 2020. Last month Wang together with Tencent Holdings and Citic Capital led a US$967 million acquisition of ticketing website, Ly.com, which is currently the country’s third largest online travel site in terms of revenue generated. Sad to say, this CL Financial bailout is resembling a situation in which well-connected persons are getting what they can, any way they can, but making sure not to get caught. Who were the beneficiaries of this lavish payout? What is this reluctance to release details? That is the Code of Silence in effect. Given that the very request was for the detailed financial information which has been deliberately suppressed since 2009, it is of course impossible to say with any certainty just how much Public Money was actually spent on this CL Financial bailout. That is the inescapable fact at the center of this scandal. The Minister’s tautology is really a powerful explanation of this point. Oh yes my childrens… Gather ’round and I’ll spin you a tale of how each Barbados government for the last 30 years has promised to implement integrity legislation and conflict of interest standards, but never did. Never will without serious international pressure. Owen Arthur promised integrity legislation, but never delivered. Then, on a politician’s salary, PM Owen Arthur donated US$150,000 in after tax dollars to a cricket charity! What a great man! Then “Goin’ wid Owen” was caught putting campaign donations from corporations into his personal bank account! No charges though because Barbados doesn’t care about corruption. Then the next Prime Minister, David Thompson, through his law firm money laundered $3.3 Million Dollars for his friend Leroy Parris. And David Thompson and the DLP promised Integrity Legislation. Now Freundel Stuart says “Trust me, trust your government” about the garbage-to-electricity plant. And Bajans are not allowed to know if any politicians have shares in the companies that will benefit from the Barbados Government contract.